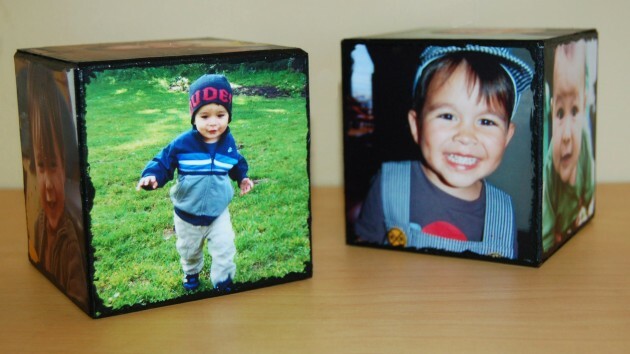 Last year, I made my mom these decoupaged wood blocks — one for each of my boys. I printed some favorite photos at Shutterfly, cut them to size, decoupaged them to the blocks, and added black edging using black acrylic paint. I intentionally made the borders “sloppy.” Once the paint dried, I applied a finishing coat of glossy Mod Podge. 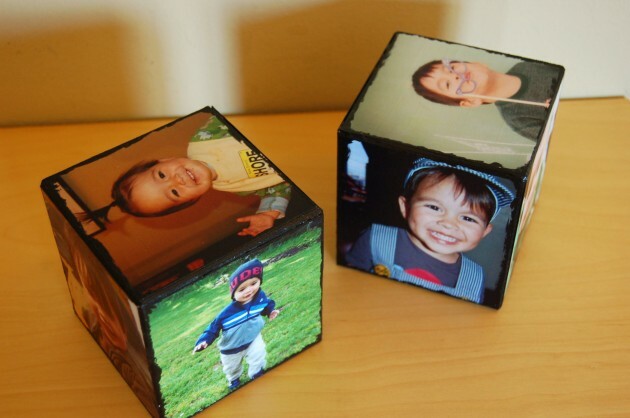 The wood blocks can be difficult to find – I have not seen them in my local craft stores, but they can usually be found online (search for “wood blocks” on etsy or check out amazon.com).